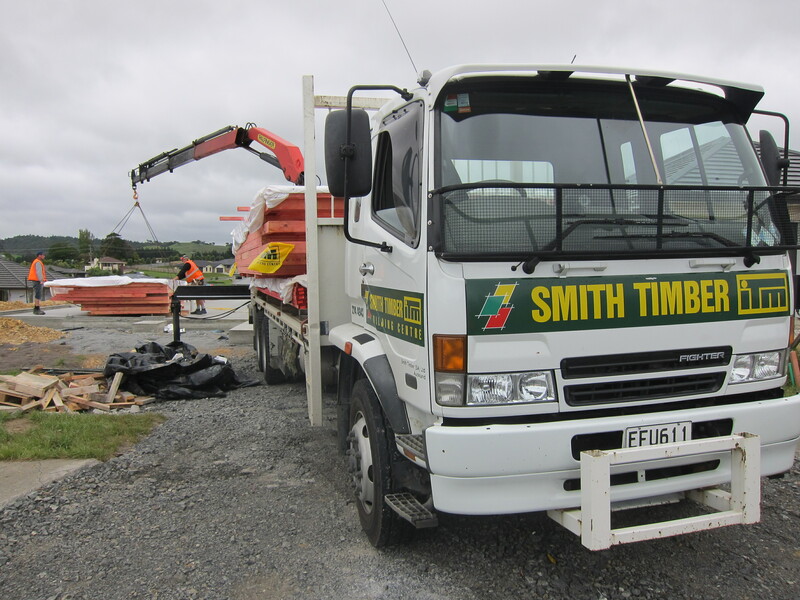 Frames being delivered from Smith Timber, East Tamaki. 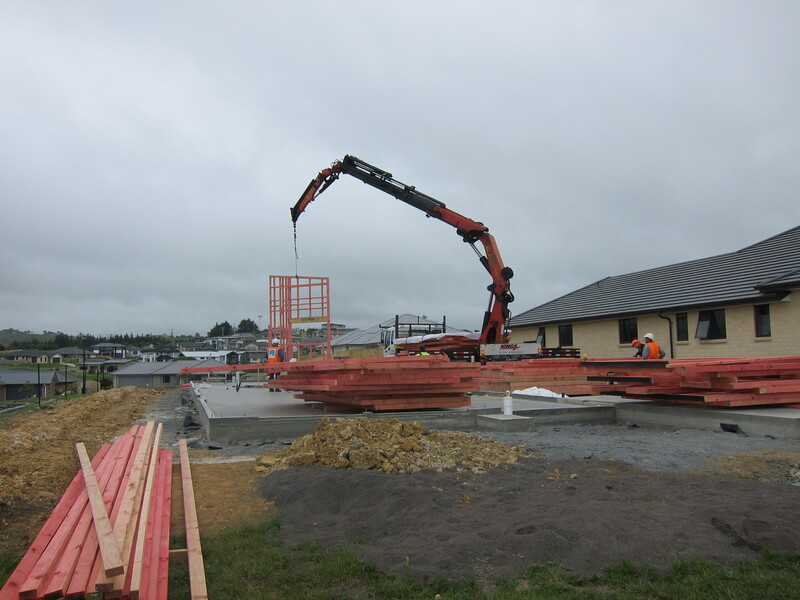 First of three deliveries (about 90 wall sections in total). 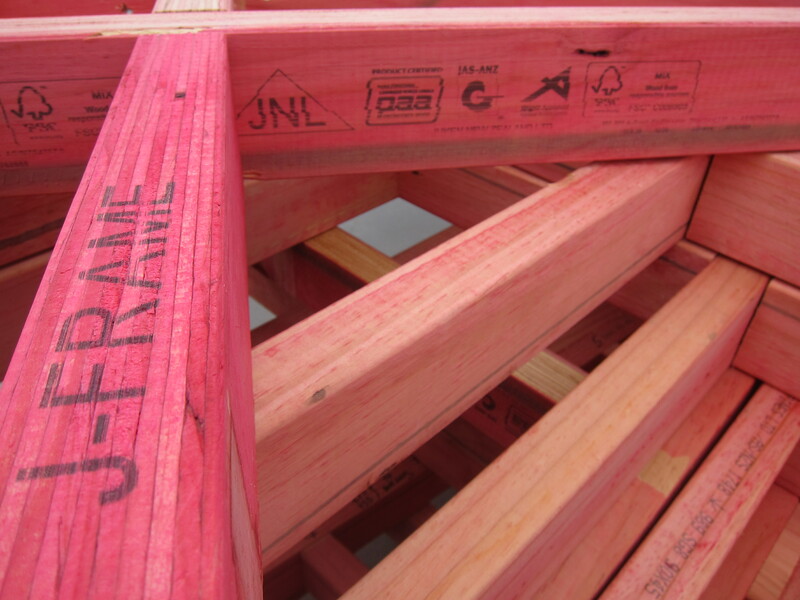 J-Frame (LVL framing) mixed into the framing at key points. 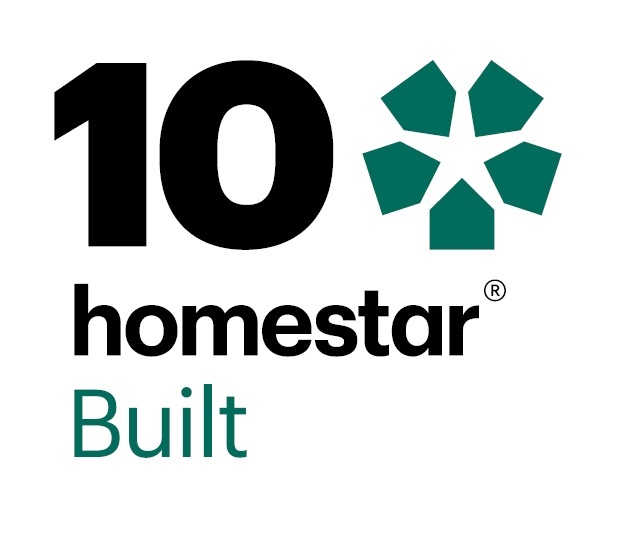 FSC certified and extra-strong. 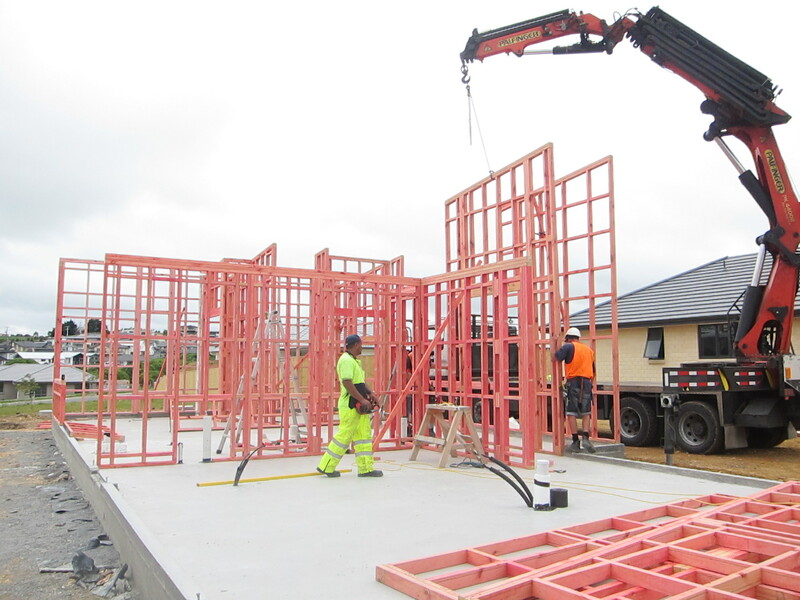 The first section of framing being lifted into place. 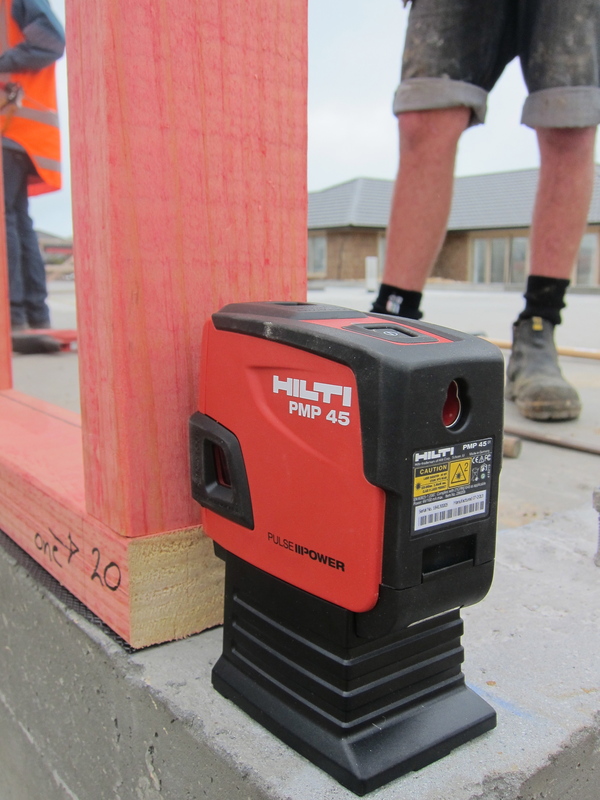 Bracing the framing into the concrete with our HILTI nail gun & nails. 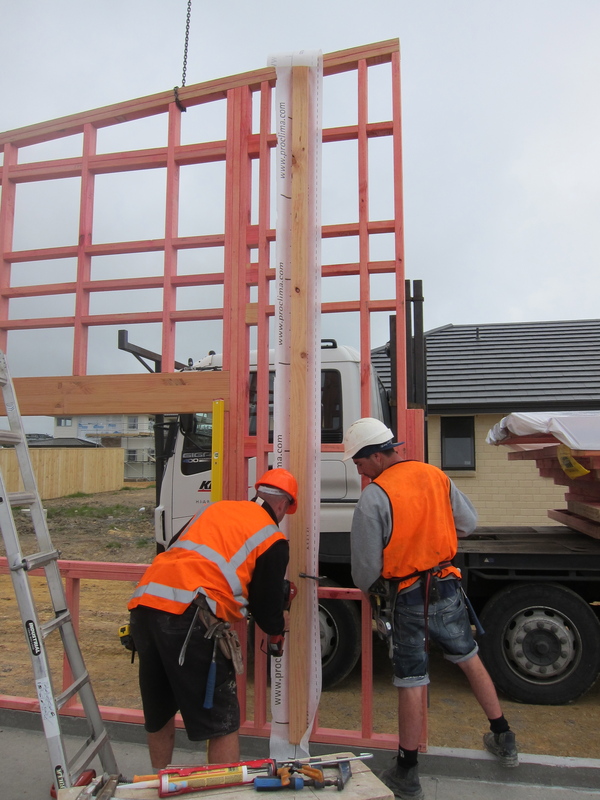 Our builders Frank and Brandon from Palladium Homes. 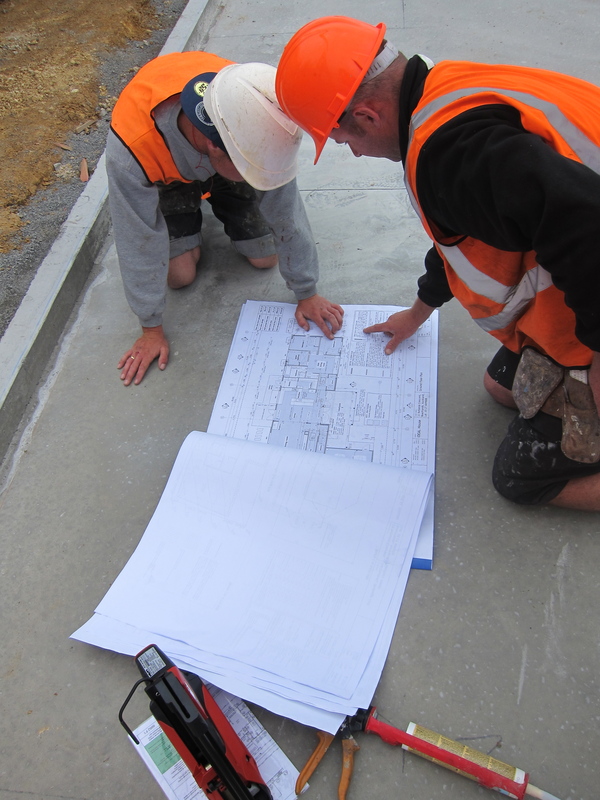 Looking over our waterproof plans from Repro-Online, NZ’s toughest plans. You have to try these! 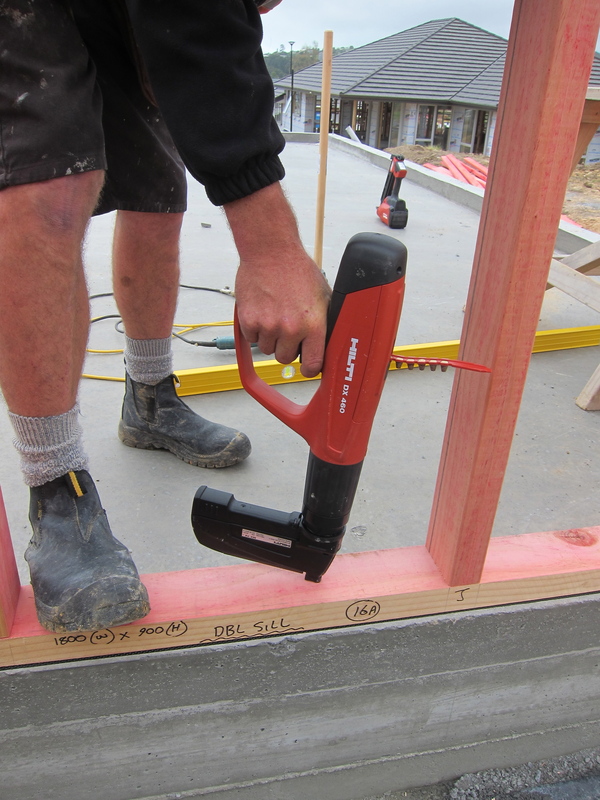 Inserting a strip of Intello Plus (air-tightness membrane) from ProClima where we have an internal wall intersecting with an external wall. This will allow for easier sealing of the rest of the Intello Plus later. 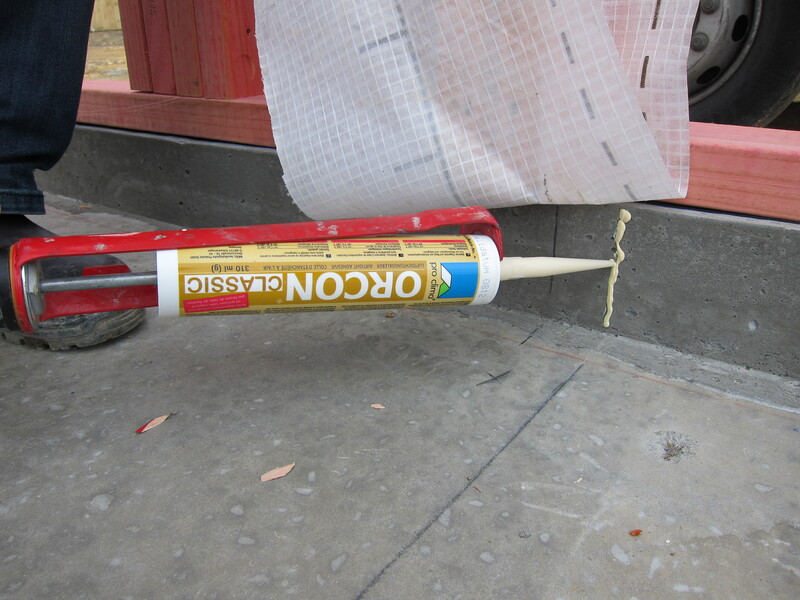 Sealing the Intello Plus with Orcon Classic, against the concrete nib. 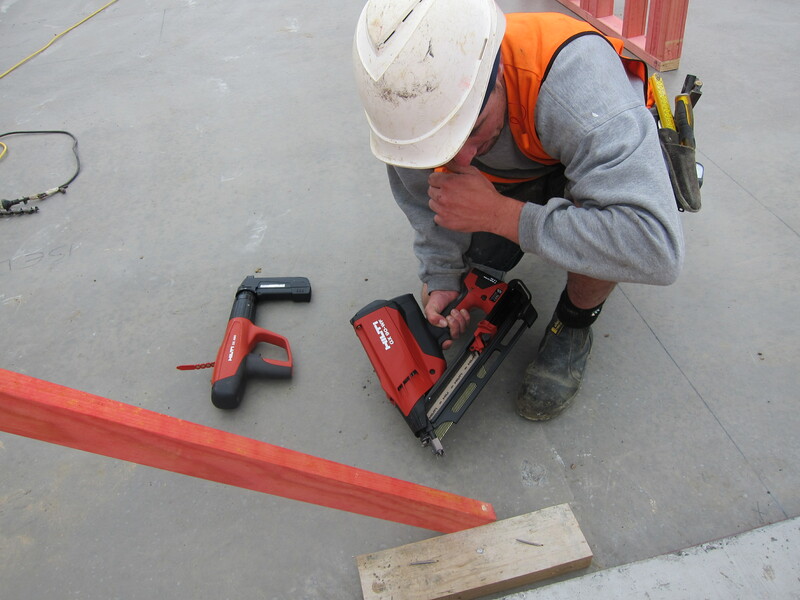 Securing in the HILTI threaded rod which has been drilled, then chemically embedded into the main slab under the nib. This socket wrench has torque! 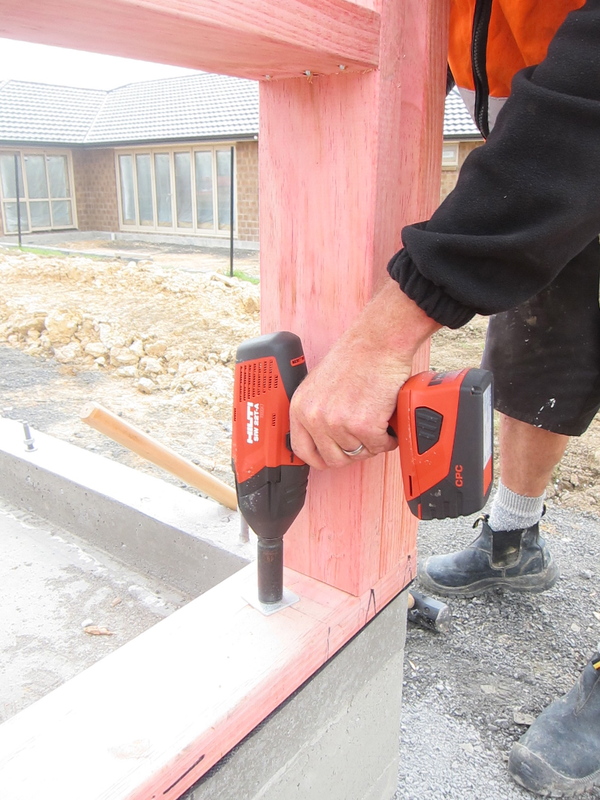 Firing HILTI concrete pins to fix the bottom plate into the nib, to hold them in place until the permanent fixing is in place. Southern wall, external/internal intersection. 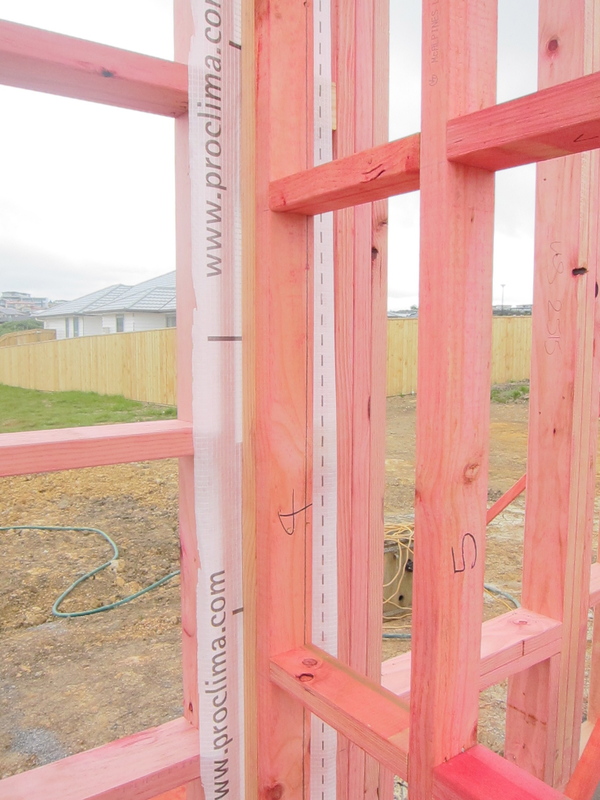 The back wall is 140mm framing, and will have another 50mm cross batten on the inside before plasterboard. 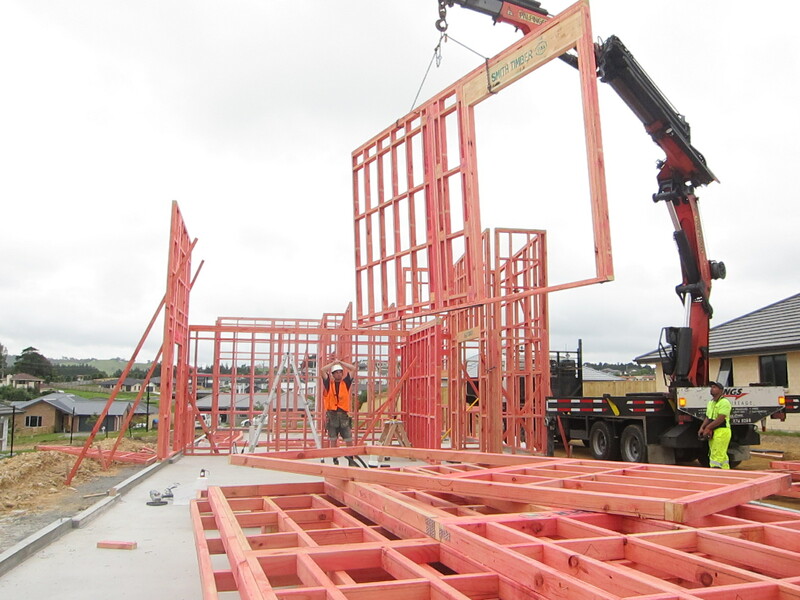 Over-height frames with “balloon” framing, to reduce thermal bridging. Lifting a middle section into place (french doors from dining room to Eastern side). 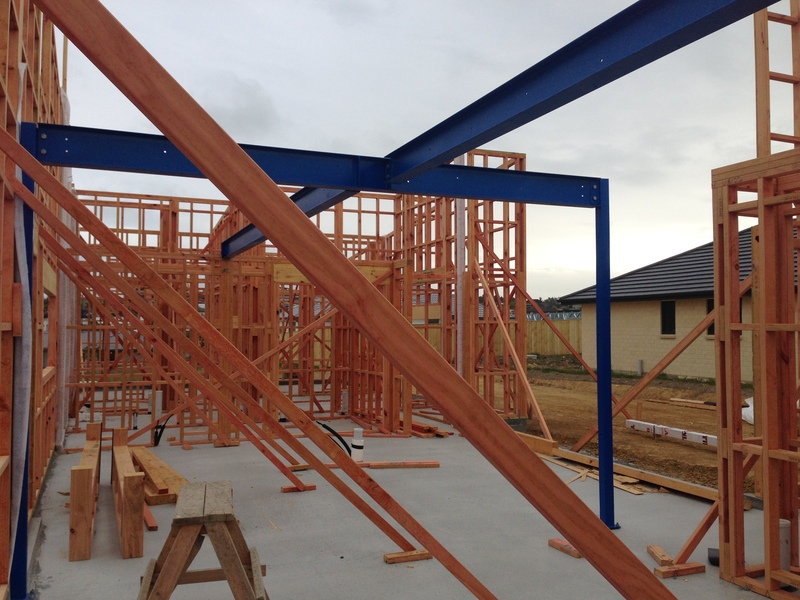 Getting to the end of the first day of framing, with most of the tall/heavy units now lifted in place. 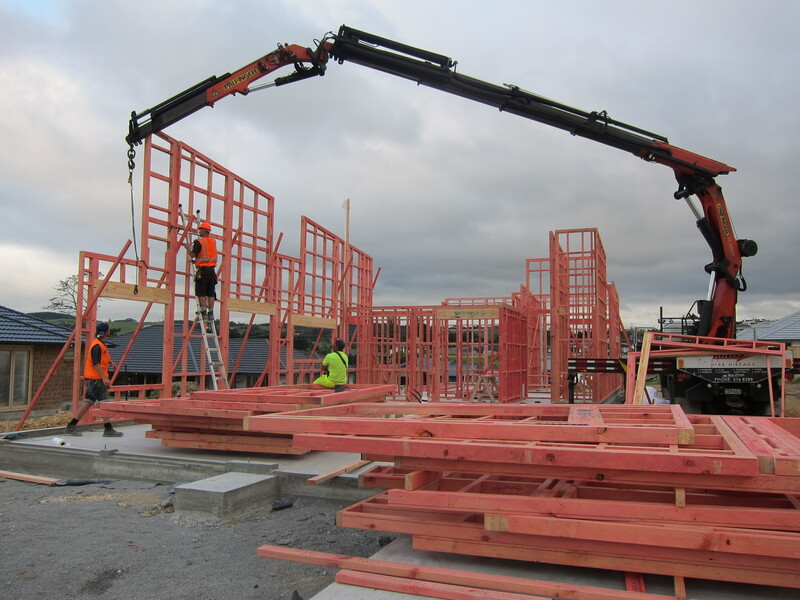 Another day and the main framing should be in place, and then the builders will move onto the roof I-Beams, and the midfloor. 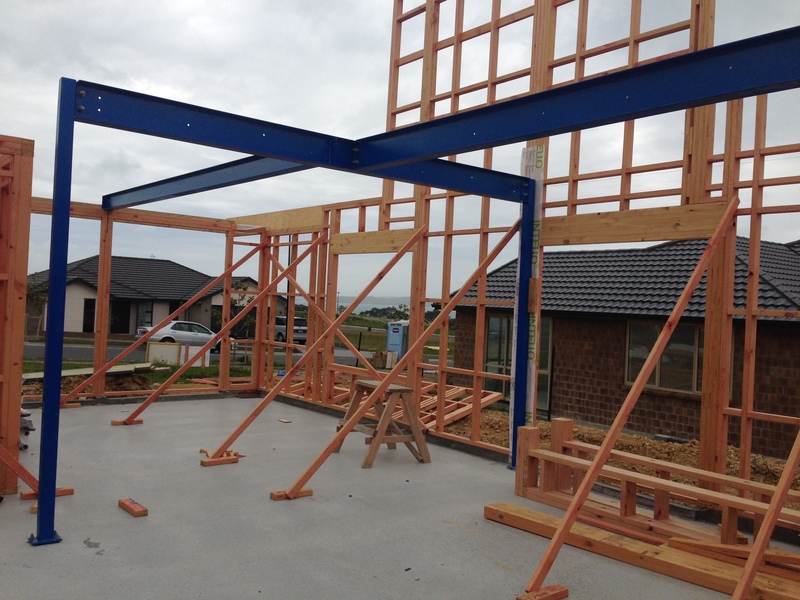 Steel framing to support the mezzanine floor above the lounge/kitchen area. 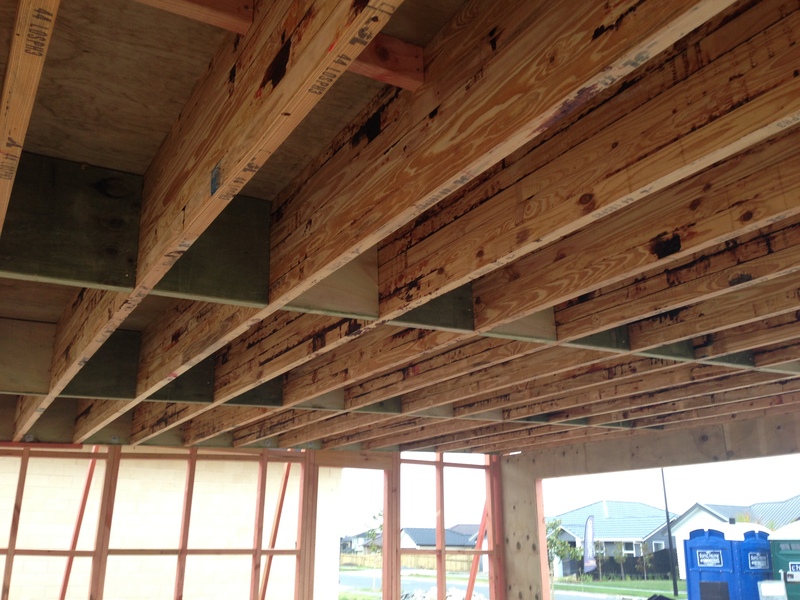 The garage roof is well underway with our Hyne engineered beams from NZ Wood (www.nzwoodproducts.co.nz) and J Ply above. Will also provide some shelter to the builders! Yes, the roof does slope to the back of the garage, to allow water to drain off the Viking membrane that will be installed above. Looking back towards the kitchen, and the bedrooms behind. Great job explaining a most interesting project!